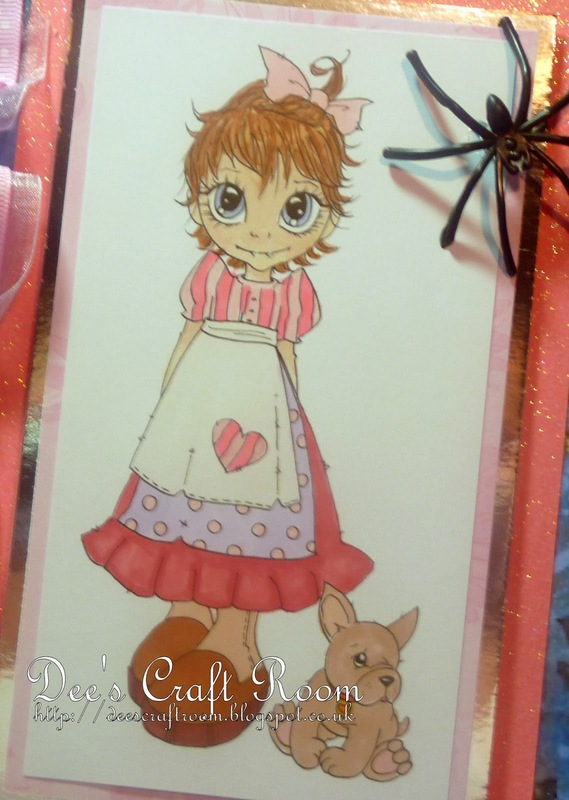 Good morning fellow bloggers and a very special welcome to anyone who has found there way here from the Crafty Boots Challenges site. There is a new challenge starting at Crafty Boots Challenges today and, as a special treat, I have been allowed to choose the theme of our challenge for the next two weeks and I chose Halloween. I would love you to show as your most ghoulish designs, your magical masterpieces and peculiar projects. There are so many images to choose from but I eventually decided to make a card featuring this Saturated Canary vampire, called 'My Bite is Worse than His Bark'. I coloured it with Promarkers and mounted it on some mirri card and glitter paper from my stash. I added the ribbons, which are from the Really Reasonable Ribbon people, a couple of pumpkin charms and the spiders. 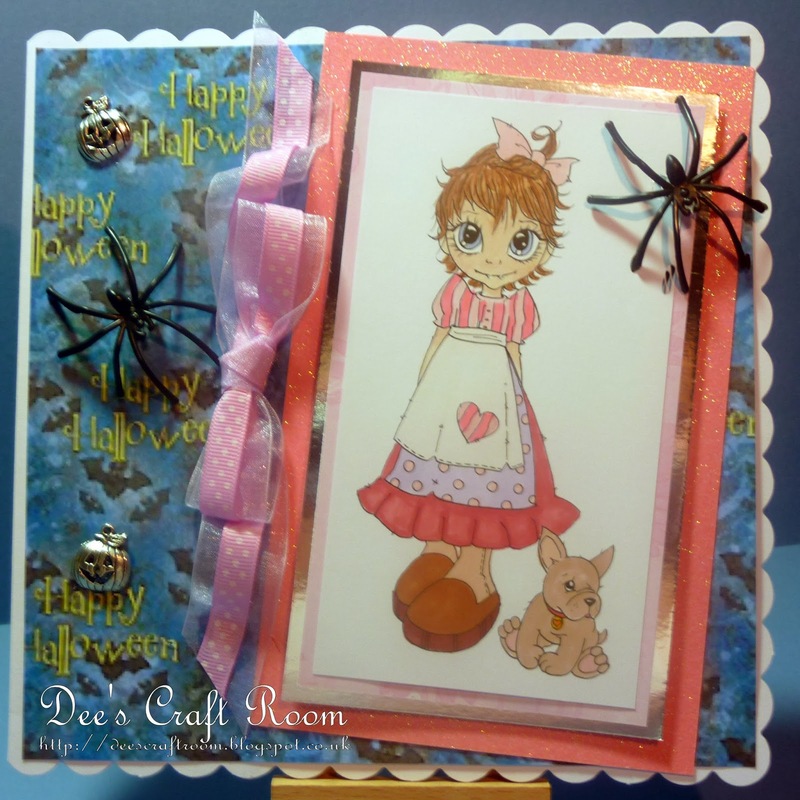 The fab backing paper is a freebie papers from Bearly Mine. The rest of the Crafty Boots Challenges Design Team have been very busy making some inspirational pieces, so please pop by and take a look. I am looking forward to seeing your spooky projects. Good luck.